This is the first in the 3-ride Arkansas Charity Challenge. Do all 3 for a special award. 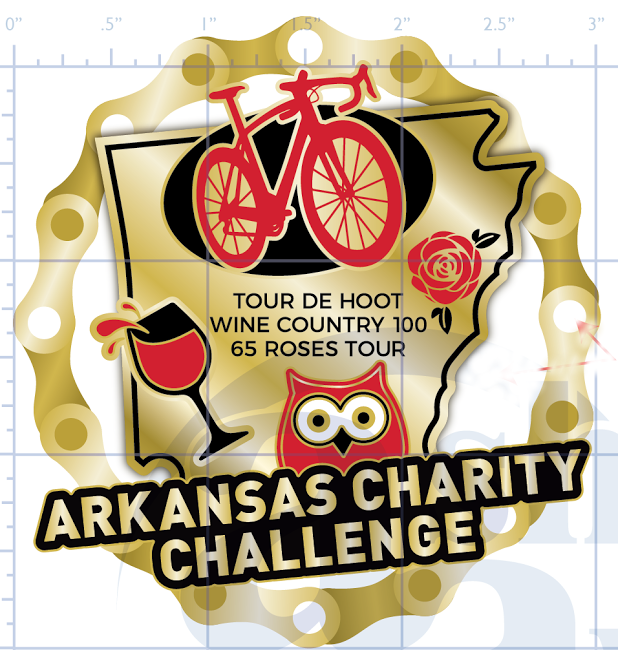 The next 2 are Tour de Hoot May 6 and 65 Roses Tour May 13.